Not to be confused with List of lakes of the United States § Georgia. The following is the list of lakes in Georgia, the country in the Caucasus. The Georgian word for "lake" is tba (Georgian: ტბა). 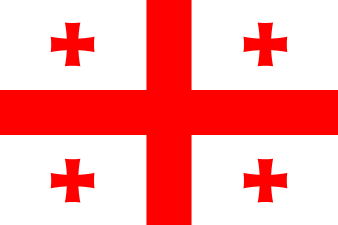 ↑ The lake is located in the part of breakaway republic of Abkhazia which is not under Georgia's control. ↑ Ministry of Economic Development of Georgia. Department of Statistics (Tbilisi, 2008), Statistical Yearbook of Georgia: 2007, p. 13.